As you can probably tell from our own website, where we're given the chance - and it is appropriate to do so - we enjoy building sites which are a little unconventional. We relish the challenge of creating unique looking sites, which suit the type of business or organisation they are designed to represent. When it comes to the design, our focus is on building visually rich websites, which are easy to navigate, packed with relevant content, and heavily optimised to load fast and easily integrated with social networks. We also enjoy using our illustration work to give each site a distinctive character, and we combine this with the latest graphic design and web technologies, to build features which will raise a smile, and draw visitor interest. To give you a competitive edge, we will research other web sites in your area of business, and ensure your site is optimised from top to bottom for the best search results. In addition to this, we will discuss with you various strategies for online promotion and maintenance, to ensure you of a comprehensively successful and competitive internet presence. We best serve small to medium sized businesses, who are looking for a website which will promote their shop or product. We enjoy working closely with the client, learning about the business or project, and seeing which web solution will work best in each case. There are no hidden costs and no monthly bills to pay for the design work once the project has been completed, only the cost of hosting, mutually agreed upon third party services, and any changes needed to the site after it has been placed online. With Happy Monsters you can be assured of a trust worthy design partner, who will work with you until you have a website which you're proud to have represent your business or brand. Simple: For private customers, hobbyists or small projects. Standard: For businesses looking for a professional web site. Advanced: For businesses needing a large or feature rich website. SEO: For people who want to improve their Google rank. Our style of web design is to build compact, user intuitive websites, which are loaded with relevant information but presented in such a way that keeps the website focussed, and prevents the visitor from being overwhelmed with text. We often aim to create a site's graphical appearance by building on any house style you have already established, and creating an original graphical theme around it. We like to build websites on a clear foundation, but then include exciting features which will give your site a distinctive character. When it comes to pricing our web design packages, we have priced ourselves towards small to medium sized businesses, who want a professionally built website, without breaking the bank. We don't want or aim to compete with the multitude of template based designers out there, and so we don't compete at the low end of the scale. For custom web site design, we believe we offer exceptional value for money, and it's because of this that we have made our base prices available online, just check our individual packages. Happy Monsters' Studios provides a lifetime of support on all the sites we design. We charge a set price if you need items changing or updating, but we're usually happy to dot any i's and cross any t's free of charge. Once you are a client, we will take the best of care with your website and future online promotion, and we're always happy to offer advice on anything relating to your online activities. All of our sites are validated against the W3C spec, and bug tested in all modern web browsers. Each site we build is designed from the ground up to be search engine friendly. Every page is appropriately titled and described, whilst relevant keywords are woven into your content. All of our websites are tested to work with the major web browsers: IE7 - IE9, Firefox, Safari, Chrome and Opera. The appearance and function of certain features may differ slightly between browsers. As we are also a graphic design and illustration studio, we are able to build our sites upon a tailor made graphical style, something which distinguishes us from many other web design firms. Where appropriate, we can link your site up to a wide range of social connectivity services (twitter, facebook etc. ), which can keep you fans up to date, or allow you an easy way to update your news page. Website Tools & Extras:A selection of tools and links aimed at assisting your time on our website. Choose a style below, then click the image to update the site background. When we launched our second website, we launched it with an entirely flash based counterpart, which featured the monsters in a mock factory environment. Nowadays we rarely work with Flash, but for posterity, we thought we would include a link to it here. Here you can keep track of us via our social networks, or share this page. Create hand drawn illustrations large and small, suitable for a fantasy story. Click on the text to cycle through the various examples. Click on the image to see a more detailed example of the work. 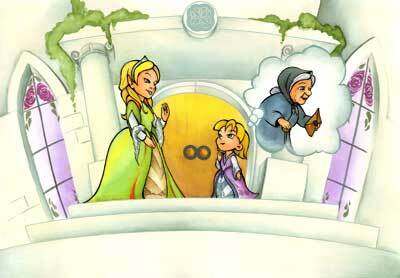 Create an elaborate and interactive web site design for the Princess Samantha book series. Create a high end website design, suitable to sell and promote the Wolfe FX brand of paint in Europe. Renew the Africa Fashion website, to give it a distinctive and stylish new look. Paint a book cover using oils and canvas, suitable for a Richard Sykes novel. By clicking the icon below, you can download the Happy Monsters' Studios brochure. The brochure has been put together to provide a print based overview of our business, and a selection of our latest examples. Below you can choose to see a translation of the website. English and Nederland have each been hand written, but we also offer Googles automated translation service for other languages. Oh wonderful - what did I say? Hmmm, well sod this for a lark - I'm outta here! Now, don't you go pressing the destruct button! It's hard enough running this place without visitors constantly blowing it up around me.Thankfully for me, only browsers which support 3D transitions can fiddle with the destruct button, but I'm certain you wouldn't want to press it, even if you could!